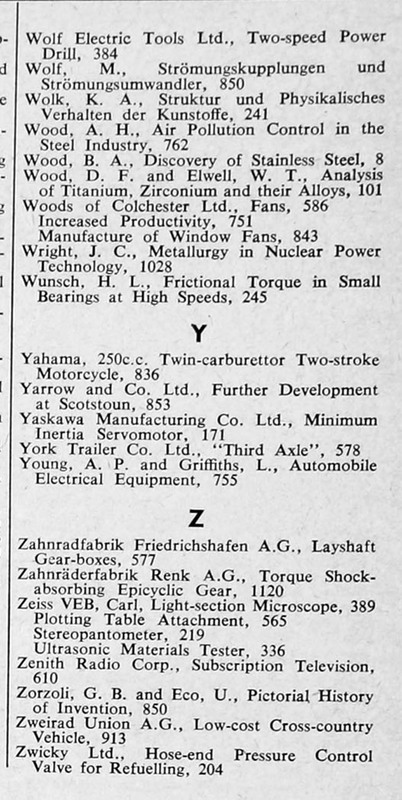 The Engineer 1962 Jul-Dec: Index. Giesler Ltd., C. F. R., Balancing Machine for Small Rotors, 996. Sellick, R., West Somerset Mineral Railway, 905 5. Senol Ltd., Molybdenum Disulphide Lubricants, 502 5. Servomex Controls Ltd., Variable-phase Unit, 326 5. This page was last edited on 23 January 2019, at 14:28.